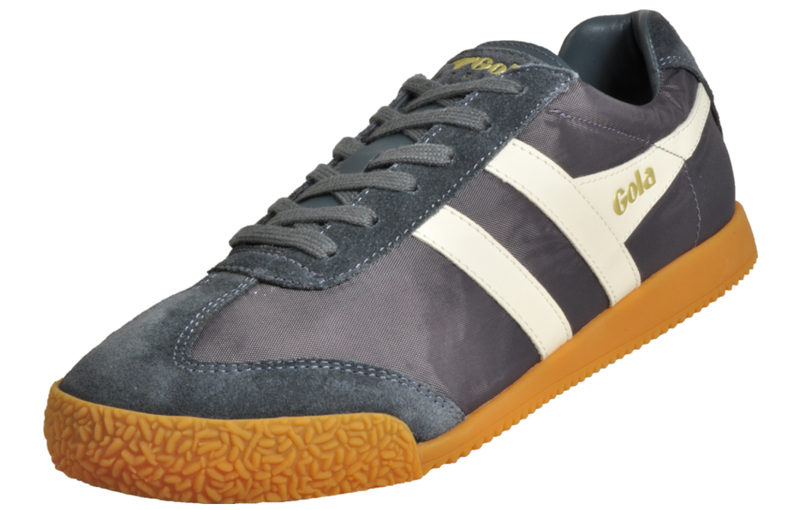 A vintage inspired trainer complete with Gola’s signature design! 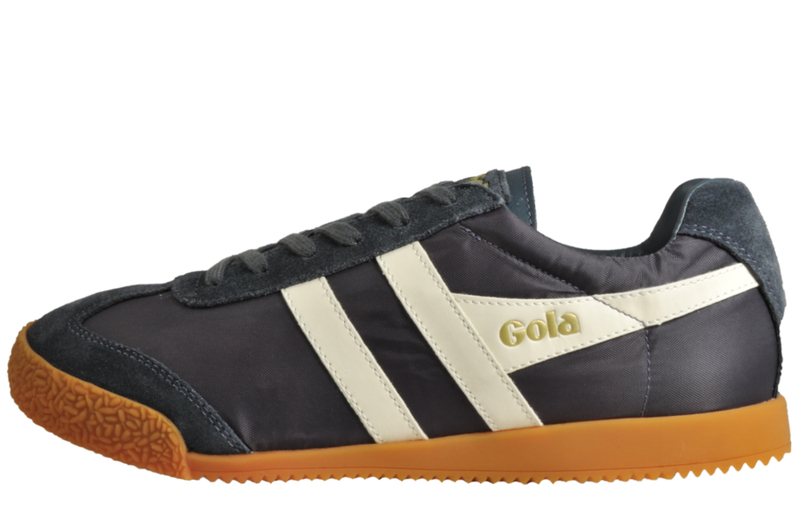 The Harrier trainer from Gola has been crafted in the brands signature style and won’t fail to impress. 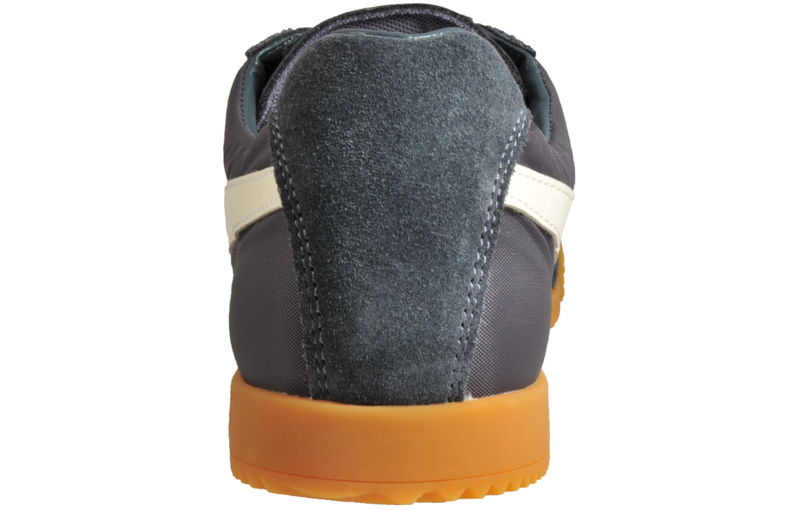 Featuring a rich nylon/suede leather upper in a luxurious graphite grey colourway which is cleverly accented with crisp off white leather detailing to the trainer. Masters of retro trainers with a contemporary twist, Gola Classics trainers retain their old-school charm in their low profile and traditional designs made from the best materials and offering modern day comfort that lasts all day long. These Gola Classics Harrier trainers offer the perfect fusion of casual footwear mixed with an athletic silhouette. 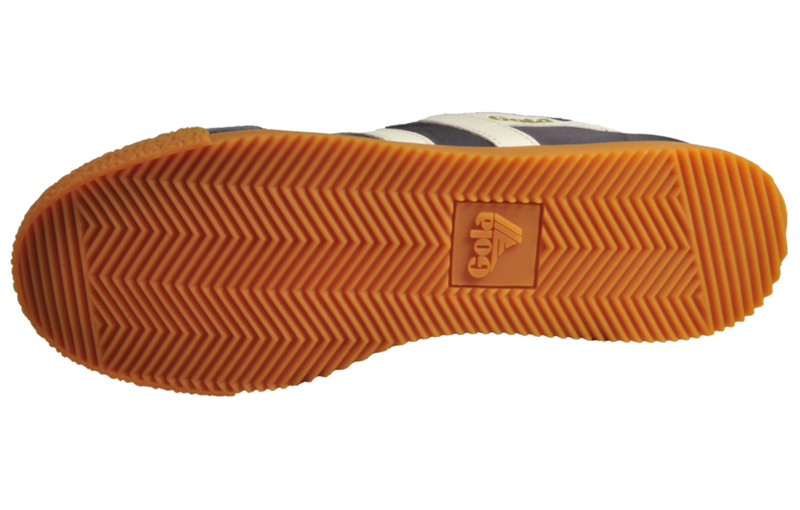 Retro meets function with classic design mixed with a highly durable and sturdy outsole which gives unbeatable traction and grip on a variety of surfaces.